“When they are diagnosed with Hep C, patients think they will die”. 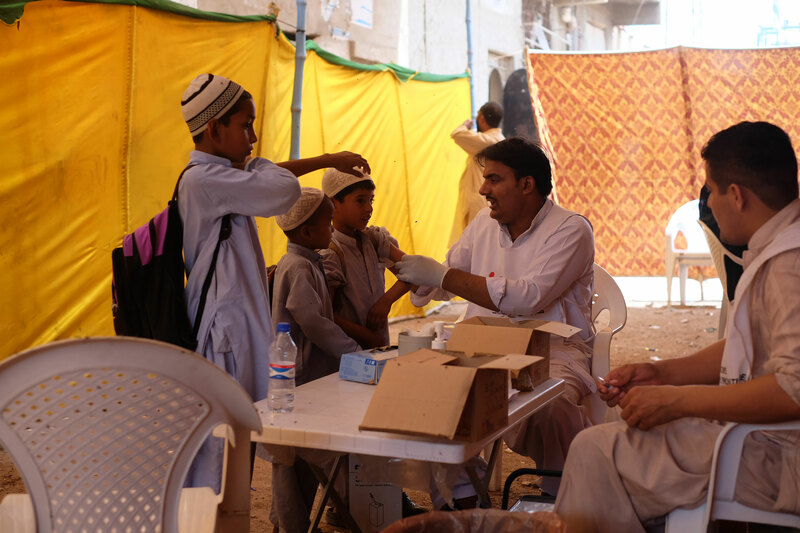 Médecins Sans Frontières (MSF) started its programme focusing on hepatitis C in Karachi in April 2015. Pakistan has the second highest prevalence of hepatitis C in the world, up to 5 percent, just after Egypt. People struggle to be diagnosed and get access to treatment because of the high costs and the fact that care is centralised in hospitals, rather than at their local health centre. It is a significant health problem: it means that in a mega-city like Karachi, up to one million people are potentially infected. MSF runs a clinic in Machar Colony slum, on the edge of Karachi’s Fish Harbour, a crowded and polluted area with no proper sanitation system, where people have limited access to healthcare. We provide basic and emergency healthcare, including outpatient consultations, triage, stabilisation and referrals for emergencies. Labour and delivery support for pregnant women is also available, as well as antenatal and postnatal services. We decided to start treating hepatitis C in Machar Colony, not only because the health system is very poor in the area, but also because many people can’t afford to be tested and treated. By providing care at a primary healthcare clinic, patients can have access to free diagnosis and quality treatment without having to go to a hospital far away from their home, which they often can’t afford because of the cost of the transport. As it’s a pilot project – MSF’s first dedicated hepatitis C programme, this year we will have around 400 patients on treatment, which is obviously limited in comparison to the number of potential patients, but the aim is to show that this model of care can work and be replicated. We receive two kinds of people here: some of them know they have the disease as they have been diagnosed in other medical facilities; and some others don’t know and find out here in our clinic. Mostly, they come at the clinic because they experience symptoms such as body ache, fatigue, decreased appetite, fever or sometimes infections. They are tested in the outpatient department and then referred to the hepatitis C unit if the test is positive. Hepatitis is an infection of the liver. There are many different types, but types B and C are the most serious as those are viral blood borne infections. For hepatitis C, there is no vaccine and the main cause of the high prevalence in Pakistan is blood transfusions. In some poor or rural areas, medical workers re-use syringes, which also can spread the virus. In the initial stage Hepatitis C is asymptomatic: patients don’t know they have the disease for many years before they start experiencing symptoms. As many patients don’t know they are infected, they transmit the virus, including to their partner through sexual contact. When we disclose to a new patient that he or she is infected with the disease, most of the time they react with fear. There are many misconceptions about the disease and most patients think you can’t be cured from the disease and that such a diagnosis is a death sentence. People think their health will deteriorate slowly until they finally die. We have a whole team working with the patients to help them cope with the bad news and to give them correct information. We also inform the community about how the disease is transmitted to help reduce the stigma for people. A patient suffering from Hepatitis C shouldn’t be isolated from the rest of the community - it is totally fine to work or live with him. People shouldn’t be afraid to be tested; it is not a death sentence. There are some treatments available in Pakistan, but most of our patients can’t afford it as it is quite expensive. As well, the treatment that is currently used in many places in the world - Interferon - is very tough to go through. It requires several painful injections, more than 70, with a lot of heavy side-effects. It has an impact on the person’s ability to live their life normally. They are weakened by the treatment, they don’t feel well and are too weak to go to work. At the same time, they have to go to a clinic several times a week to receive their injections. It’s very difficult and a lot of patients don’t manage to complete their treatment. And even when patients do complete the treatment, there is a high treatment failure rate. New and much improved Hepatitis C treatments have become available over the last two years, which can cure Hepatitis C in as little as 12 weeks, and involve taking just one pill a day. With the new treatment we offer in our clinic - sofosbuvir - which was registered a year ago in Pakistan, the side effects are less and patients can get back to their normal life very soon. There is a very high recovery rate. We really hope that the treatment will be made available at reasonable price very soon. It’s definitely a game changer in the care of patients affected with Hepatitis C.
A few weeks ago, our first patient tested negative after finishing his treatment here in our clinic. He had been through two long and painful Interferon treatment regimens before being treated with sofosbuvir. He’s finally cured. That was an incredible moment for the whole team, to see this patient finally testing negative and to know that he can get back to a normal life. Sofosbuvir, a new oral drug to treat hepatitis C, is a ‘direct-acting antiviral’ (DAA) medicine that was approved for use in late 2013. Sofosbuvir and other new DAA drugs have the potential to revolutionise treatment, with studies showing cure rates higher than 90% for people with some genotypes of the disease. 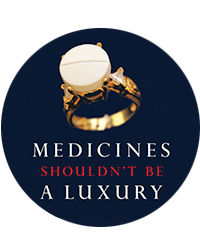 But the pharmaceutical company which launched the drug, US-based Gilead Sciences, has priced sofosbuvir at $1,000 per pill ($84,000 for a 12-week treatment) in the US, and has charged similarly high prices across developed countries. Gilead has entered licensing deals with several manufacturers in India who have developed and are starting to market generic versions, but these deals exclude sales of the drug to a number of middle-income countries with very high burdens of hepatitis C. This leaves around 49 million people in such countries, representing more than 40% of the global hepatitis C burden, without access to this drug. Although the price in Pakistan is lower as multiple local pharmaceutical companies are manufacturing and have registered the product in the country, sofosbuvir still remains beyond the reach of most patients with Hepatitis C.
MSF first began working in Pakistan in 1986 and now provides urgently needed medical care to people in Balochistan, Khyber Pakhtunkhwa, the Federally Administered Tribal Areas (FATA) and Sindh. MSF’s activities in Pakistan are funded solely by donations from individuals, with no institutional or government contributions.